Born March 16, 1884, in Kansas City, MO., Harrison Ford has a very sketchy life because he rarely granted interviews and kept his private life private. It appears he was acting on stage as early as 1905 when he appeared in Robert Edeson's Broadway production of "Strongheart." He was very active on the stage, but took his first film role in "Excuse Me" in 1915, a play written by Rupert Hughes with a forgettable cast. His next film was in 1916 for William DeMille, "Anton the Terrible" with venerable Theodore Roberts in the title role. Ford's film career began properly in 1917 with the lead in "The Mysterious Mrs. Musslewhite." He made seven films in that year and didn't slow down throughout the remainder of the silent era. Ford's career consisted mainly of playing the second lead behind a female star. In 1917, he co-starred with Fannie Ward in two pictures (this was while Ward was at the top of her popularity in a very short career). From 1917-1919, he made seven films with Vivian Martin. From 1918-1922, he co-starred in a total of 12 films with Constance Talmadge, the last of which is a delightful film availableon video entitled "The Primitive Lover" (1922). He also made four films with Constance's sister, Norma. Other feminine leads that Ford supported throughout the twenties included Bebe Daniels, Gloria Swanson, Alma Rubens, Corinne Griffith, Clara Bow and Bessie Love. He costarred with Marion Davies in "Little Old New York" (1923), "Janice Meredith" 91924) and "Zander the Great" (1925). He was with Marie Prevost in six films. At least four of these - "The Girl in the Pullman" (1927), "Blonde for a Night" (1928), "Rush Hour" (1928) and "Up in Mabel's Room" (1926) are available for viewing on video. He also worked with Lon Chaney in "Shadows" (1922) and under D.W. Griffith in "That Royle Girl" (1925) opposite Carol Dempster and W.C. Fields. 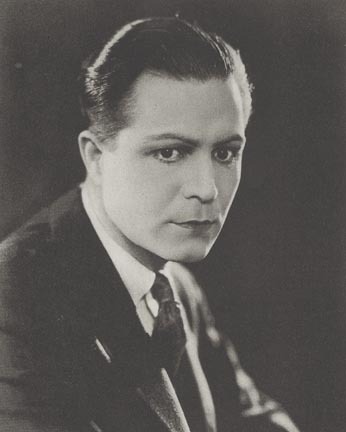 Ford had done some stage work in the late 'teens and early twenties in addition to his film career, but, when sound took over the screens in 1929, he returned to the stage. His last film was "Love in High Gear" (1932) with Alberta Vaughn. Ford continued to work until 1951 when he was struck by a car near his home in Glendale. Never fully recovering from his injuries, he died Dec. 2, 1957.